At its core, In Situ is a study in restoration, both of the site and the mind. 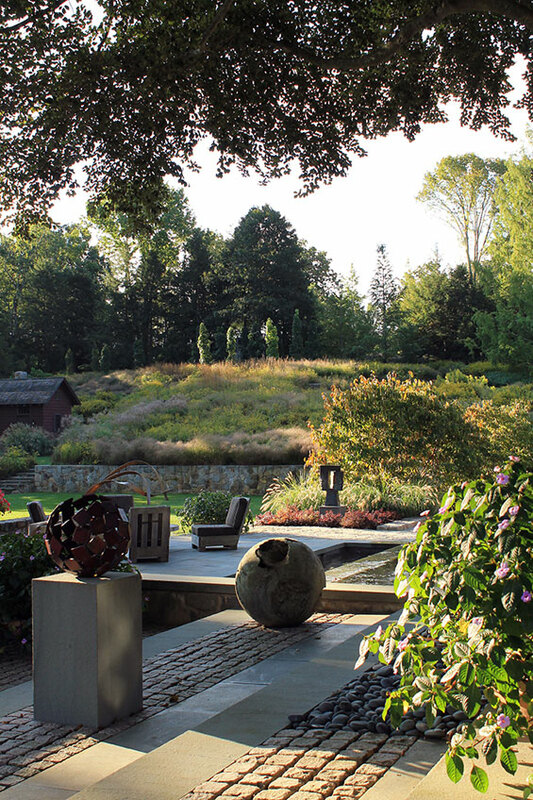 Functionally designed as a garden for entertaining, this eight acre retreat in rural Connecticut incorporates sculptural art, exterior fire features, multiple water features, and several areas for outdoor dining. 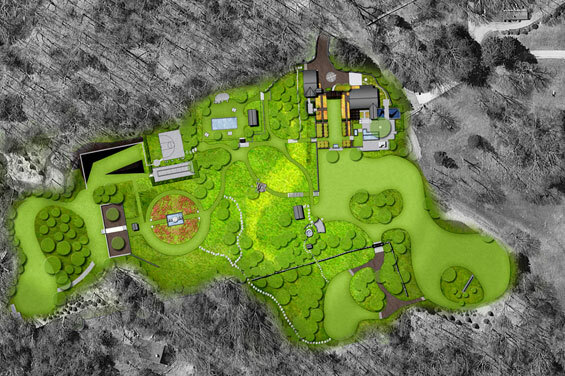 These luxuries are subtly coordinated with an ambitious site restoration program. 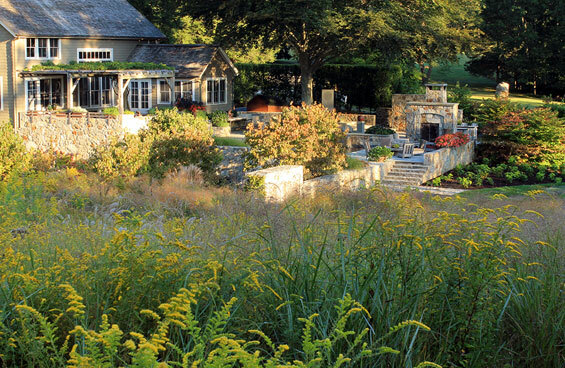 The design melds two basic objectives: to create a bold aesthetic inspired by the rustic architectural vernacular of rural Connecticut and to implement place-based sustainable landscape strategies. Arbors and pergolas are constructed of salvaged barn wood and stone from the site was extensively utilized alongside other local stone sources. Extensive management of the surrounding forest was undertaken to repopulate native trees. 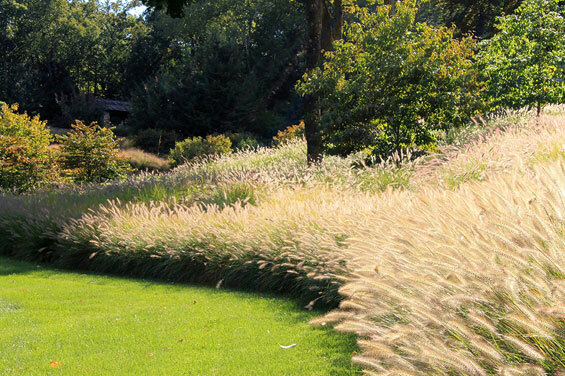 This effort removed significant exotic and invasive plant species and maximized the backdrop of foliage and fall color. Three acres of native meadows were replanted, and approximately 75% of the project plant palette is composed exclusively of native species. 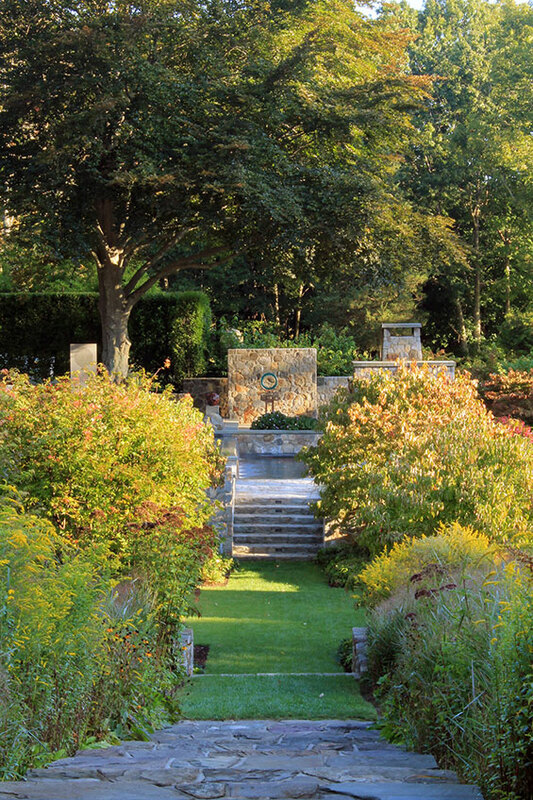 Individual garden “rooms”, including multiple terraces, trails, meadows, lawn areas, and a sunken garden, are subtly positioned into the larger landscape and nestled into each adjacent room. This creates seamless transitions between spaces while simultaneously allowing each space to retain its unique identity. They are engaged in a dynamic equilibrium, each space folding together to support a larger vision evoking historic rural themes and tranquility. IAMGE CREDIT | Jason Morse, AHBL, Inc.